Amazon’s introduction of the Kindle in 2007 was followed rapidly by other ebook systems — Kobo, Google, B&N’s Nook, and Apple’s iBook — and widely-available print-on-demand capabilities for printed books offered by Ingram (Lightning Print was already a decade old) and Amazon’s CreateSpace. Amazon had long exploited price as a weapon in the marketplace, discounting heavily to favor customer acquisition and retention over immediate margin and profits. When the combination of the new technologies accelerated the shift from buying in stores to buying online, and Amazon showed a willingness to sell ebooks for Kindle at prices below the costs publishers charged them, the big legacy publishers became alarmed. 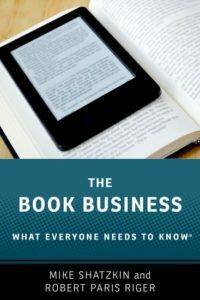 They could see no end to the switch to ebooks and it seemed logical to figure out a way to encourage competition across ebook ecosystems. Their solution, aided and abetted by the new Apple iBooks ecosystem that debuted in April of 2010, was to move from “wholesale” pricing, where the retailer controlled the ultimate price to the consumer, to “agency”, where the publisher was the seller to the consumer and controlled the price. The intermediary — the retailer — was just an “agent” without pricing power. This led to anti-trust action by the US government by which agency pricing was allowed, but only by newly negotiated agreements between each of the major publishers and their vendors, including Amazon. And the DOJ made sure that those agreements entitled the retail “agent” to discount from the publisher’s agency price, as long as the aggregated discounts to consumers didn’t exceed the retailers’ aggregate margin on those ebooks. They needn’t have bothered. Amazon was essentially done with the strategy of discounting big publishers’ ebooks. And big publishers are left wondering whether they should be glad they got what they wished for. Let’s remember that those discounts from Amazon came from their share of the price; now with agency protocols, publishers can only discount ebooks by reducing their own take! The changes in the marketplace between 2010 and 2014 were profound. Borders went out of business. Barnes & Noble shrank its shelf space. Independent bookstores “revived”, but not enough to replace the bookstore clout that had been lost. Author-driven publishing just continued to grow as Kindle and the other ebook installed base grew faster and faster when smartphones and tablets both spread like wildfire and removed the need for a dedicated ebook device. With Amazon establishing a royalty rate for its own self-published authors of 70 percent of the selling price, equivalent to what agency publishers collected, successful self-publishers could make substantial money with very low-priced ebooks and zero or near-zero revenues from print. And Amazon Publishing further complicated publishers’ lives. While an early notion that it would compete immediately with big publishers for big books proved an illusion (at least partly because the brick-and-mortar incumbents weren’t interested in helping Amazon-owned titles), the proprietary publishing efforts worked great in the genres, particularly romance. As a result, each week now, a handful of those genre Amazon Publishing ebook titles are handily selling more units than most of the titles on the NYT and USA Today’s best seller lists. Amazon found it relatively easy to grow market share in those areas where the bookstore sale, and even the online print sale, was diminishing in favor of the ebook. The data tracking that the book business has in place was remarkably ill-suited to follow the changes. BookScan captures cash-register sales of printed books. It does a pretty good job with bookstores and full-line book departments, but not so well in special sales of topical books sold by vertical retailers like knitting shops or even museums. Publishers report their own ebook sales, so these are captured on a delay from the reporting publishers, which does NOT include independent authors. While Amazon does report its print sales to BookScan, its ebook sales are a black hole. Even knowing just the number of titles in the marketplace, which used to be easy, is now hardly possible for most publishers and observers. The industry counts ISBNs, which are issued in each country by an agency that “sells” the numbers. But Amazon has its own numbering system and authors who stay entirely within Amazon, which Amazon offers financial incentives to do, might never have an ISBN for their book. But even beyond that, ISBNs are not keeping pace with the explosion of titles and formats. The other significant ebook retailers — Nook, iBooks, and Kobo — also don’t require ISBNs. They also aren’t required for audio. So most indie authors — even the highest-selling ones nowadays — have also dispensed with ISBNs altogether for their digital editions, whether Amazon exclusive or not. It should be noted that the other ebook channels — Nook, iBooks, Kobo — also don’t report sales to any outside body. So there is a lot of information missing that is really needed to assess an industry which is selling less and less through the standard industry sales tracking mechanism and more and more product through channels that don’t report. That has produced the world where big publishers with their agency-priced ebooks tell us that ebook sales have flattened or declined and that print book sales are holding their own, but Amazon says ebook sales are continuing to grow. And it is also a world where the big publishers are working feverishly, and largely futilely, to make their non-Amazon sales grow. It certainly appears that the changes mandated by the Department of Justice a few years ago have strengthened the two most powerful players in the game. Amazon was always going to be the beneficiary of that legal action, and they have continued to grow. And the biggest publisher, Random House, because they made a tactical decision to eschew agency pricing when it started, was not sued when the other big publishers (including Penguin, which Random House subsequently acquired) were. Penguin Random House is now by far the biggest single trade publishing house, with a volume not far off what the other four deliver combined. Fortunately for those of us who want to understand the changing industry, a new data source has arisen. Data Guy, first encouraged by indie author star Hugh Howey (one of the early beneficiaries of the changed marketplace), is now one of the principals behind Bookstat.com, an online-sales database built by scraping Amazon and other major online retailers. Bookstats’s realtime dashboard presents a consolidated, title-level view of the online US market, current through yesterday. It includes Amazon sales. It separates out Amazon Publishing from the indie authors Amazon enables. And, when used alongside data from Bookscan, Bookstat now lets us back out how brick-and-mortar sales alone are faring in relation to online. And BookStat delivers the first third-party reported stats on the digital content delivered within the book business. So I asked Data Guy whether he could offer evidence to support or refute my hypotheses about how the industry is now changing. I have inserted what I learned from him in line with my contentions below. 1. Amazon continues to grow its share of print and digital sales. It appear to be approaching half of all print sales and more than 90% of ebook sales. Amazon’s share of of US print sales is still growing rapidly. In the prior year, 2016, the 280 million Amazon online print sales Bookstat reports were only 41.7% of 674 million total units and in 2015 Bookstall’s 246 million print unit total for Amazon was only 37.7% of Bookscan’s 653 million reported units. So Amazon’s online print sales continue to grow by a double digit percentage each year. Barnes & Noble — the next largest retailer of print books, from their public financial reporting, was by our math contributing 23% of Bookscan’s total in 2017 — which means that B&N has shrunk to where it now moves only half as many print books a year as Amazon, and B&N’s own financials show those remaining B&N sales are shrinking by 4% a year. Book sales at mass merchandisers like Walmart and Costco — about 14% of Bookscan’s total units — are dropping 7-8% a year. The indie bookstores, which make up less than 6% of the US print book market, have been a beneficiary of B&N’s shrinking footprint and sales are about flat. But even if they were growing, this is a segment too small to really move the needle. In other words, the overall 2-3% annual growth in print sales reported by the industry for the past several years is solely due to Amazon’s fast-growing online print sales, while all other channels shrunk. For ebooks, your estimate of 90% is only slightly high; Amazon’s share of overall US ebook units is about 83%. But a fair chunk of that is ebooks from self-publishers, Amazon’s own imprints, and untracked micro-publishers. So a typical large traditional publisher might see Amazon making up 70-75% of their own ebook units. 2. The overall market is growing, but Amazon Publishing and indies are the growing segments. All legacy publishing, including the Big Five, are sharing from a diminishing pool of “what’s left” after that growth. If we restrict our definition of “Legacy Publishers” to AAP- and/or Pubtrack-reporting ones, then that trend is indisputably true: from 2014 to 2016, Bookscan’s publicly released data shows annual print sales growing by roughly 39 million units, which isn’t enough to offset the shrinkage of 55 million annual ebook unit sales reported publicly by PubTrack for the same time period. In gross consumer dollar terms, the loss is somewhat mitigated by higher print prices. But that can only go so far. A strategy of increasing prices to offset a shrinking addressable market—when part of the reason that market is shrinking in the first place is emerging competition from lower-priced nontraditional providers—is an approach that risks undermining itself by accelerating the market shrinkage. 3. Legacy publishing below the Big Five is suffering more, seeing their market share increase at Amazon even faster than the major houses are. To examine how Big Five versus non-Big Five legacy market shares at Amazon have trended, we need to look at each book format separately. In audiobook sales, the Big Five have been able to maintain their market share for the last two years, despite significant market share growth on the part of Amazon’s own Audible Studios & Brilliance Audio, and also on the part of indie self-publishers. These growing non-traditional audiobook sales instead appear to have taken their bite out of the audio market share of midsize and smaller legacy publishers—an erosion of legacy market share that most industry analysts may not be aware of yet, because that loss is being more than masked by the rapid overall rise in US audio sales. (We saw a very similar dynamic play out for ebooks in 2011-2012, when accelerating ebook market-share loss by legacy publishers was masked by the double-digit year-on-year growth in overall ebook sales). But when one is able to see the entirety of today’s audio sales “pie”—including all of the non-traditional audiobook sales, too—then this cannibalization of legacy publishing’s audio market-share becomes readily apparent. In ebook sales, both Big Five and non-Big Five legacy publishers have ceded a huge chunk of market share to non-traditional players over the last several years; roughly half of the ebook market in unit terms, and nearly a third of it in dollar terms. But it’s hard to say for sure whether the financial impact has been greater for Big Five or non-Big Five legacy publishers, because agency vs non-agency retailer discounting complicates the picture. Specifically, our data shows that a very high percentage of all US ebook purchases from non-Big Five legacy publishers are still happening at aggressive retailer discounts from list price: these discounts averaged 38% in December 2017, and 37% for the first half of January 2018. On the other hand, we can see essentially all Big Five ebook purchases happening at full list price, with no retailer discounting at all. What this means is that Big Five publishers are now effectively netting a much smaller share of the consumer dollars spent on their ebooks than non-Big Five legacy publishers are netting from the sales of theirs. So the relative economic impact is a more complex equation than market-share shifts alone would indicate. For print books, over the last two years the Big Five have definitely lost more Amazon market share than the rest of “legacy publishing” combined. But a large part of that is due to the rapidly increasing online share of large legacy academic/professional publishers like Pearson, McGraw-Hill, Cengage, Wiley, and Norton, which skew the non-Big Five total. Nevertheless, even when we leave out those non-trade publishers and look at only the Amazon sales of Big Five vs non-Big Five legacy trade publishers, we see what looks like a pretty healthy split: for 2017, the Big Five made up 60.9% of Amazon trade print units (59.0% of dollars), other large trade publishers like HMH, etc., were 11.9% of units (10.8% of dollars), medium trade publishers were 9.0% of units (10.1% of dollars), while smaller trade publishers were 16.0% of units (17.8% of dollars) and the smallest micro-presses still captured 2.2% of units (2.4% of dollars). While the small/medium/large publisher size definitions used were somewhat arbitrary, the data seems to indicate that online retail has been something of an opportunity-leveler for smaller print publishers. 4. As a result of the industry changes, more titles achieve bestseller status for shorter and shorter periods of time. That is: churn has increased in the bestseller world. That would suggest that total sales numbers for all titles are declining. Churn has definitely increased in an online-sales-dominated world, which is not at all surprising. Many promotional and merchandising mechanisms that, in a brick and mortar-dominated retail world, tended to keep sales heavily concentrated in a small number of “best selling” titles, are far less effective online—or lack functional equivalents. But it does not follow that total sales numbers for all titles are declining. What the data shows is a flattening of the online sales curve, with the very highest-selling frontlist titles now losing some of those initial launch sales to backlist titles and lower-priced midlist or self-published titles. But competing books aren’t the only reason we’re seeing list churn. Because of unlimited online shelf space, nowadays even a midlist title’s effective sales horizon has been greatly extended. Title sales which were previously concentrated into a short post-launch time window, are instead now often spread out over a much longer time period. Thus those sales cannibalize the “launch” sales of the next quarter’s (or even year’s) biggest best sellers. That’s part of why we’re seeing shorter “bestseller list” stays, even for titles that do eventually rack up equal or greater long-term sales than they would have previously. 5. And, as a result of these industry changes, some genres and categories of books are getting almost all their sales through Amazon. That would mean that nobody else can do those books profitably. This appears to have already happened with romance books; other genres and topical categories will follow. I’d expand your observation to say “through Amazon and other online retailers,” but what you describe is what the data shows. Almost 90% of Romance book purchases are online now, mostly in ebook form, with the majority of those sales going to self-published titles in the $3-$5 range. Adult Science Fiction & Fantasy titles are not too far behind. In general, the strongest indicator for how fast sales in a particular book genre will transition to online retailers and digital formats is typical reader “voracity” in that genre. A three-book-a-year reader is usually picking up their three books in hardcover in airports or brick-and-mortar bookstores (or receiving them as holiday gifts). But most fifty-book-a-year genre fiction readers are, by now, buying those books online, and most probably as ebooks—which usually means that half or more of them are self-published purchases. If these trends are all true, then the government and the industry are not finished figuring out what to do about Amazon. It is beyond the scope of this exercise to suggest any solutions, but at some point the market consolidation will require us to recognize the problem. I agree that too much retail channel consolidation is non-ideal; the more viable routes to market and to customers, the better. But it’s important to note that what poses a problem for publishers isn’t necessarily also a problem for readers, or for that matter, authors. Nor even for small, agile publishers who don’t have large investments in brick-and-mortar distribution, for whom the disruption of the industry’s status quo has created much opportunity. The way I tally it up, Data Guy was able to pretty much support four out of my five contentions. It looks like his evidence undercuts my theory that the Big Five is being hurt less than the next tier of publishers by the changes. I’m always happy to be better informed. After this post was made public, BookScan registered the complaint that it could be interpreted from the post that they provided me with information and/or data to support it. They did not. I did not speak to BookScan in preparing this post and they provided none of the data reported in it. What we did not talk about here at all was Amazon’s recent moves to become a brick-and-mortar retailer, which will further extend their developing hegemony and represent perhaps an even more dire threat to the brick-and-mortar booksellers of all kinds. I’ve written about that. The New York Times describes what is the next big disruptive innovation by Amazon — being trialed without books — called Amazon Go: the no check-out retailer. For those of you trying to follow my writing about climate change, you’ll find posts on Medium here and here. 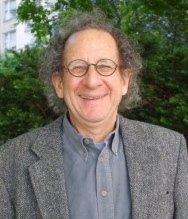 And a reminder that The Shatzkin Files have been assembled into ebooks by year. Kobo has a series page but they’re available at whatever is your favorite ebook store.